Two-thirds of FoodShare recipients are blind, elderly, disabled or children and can’t work. To move things quickly, Senate and Assembly Committees met in a joint hearing – the only public hearing scheduled. Committee chairs took up all ten bills at the same time. At times, during the hearing, members were admonished by the Chair to ask only one question on all of the ten bills. About two-thirds of the people who get help from FoodShare cannot work. They are blind, elderly, disabled or children. Of the one-third left, nearly half are already working. Most folks are working part-time, low wage jobs. They want more hours, but can’t get them. We heard about problems with the private contractors, including contractors that received incentives to get people into low-wage work, not training. In one case, a woman’s work experience was in fast food. She wanted to obtain her high school diploma, but the contractor sent her to another low-wage fast food job, without a chance to get back in school. From her perspective, the program was a failure. From the state’s perspective, with her low wages, she would continue on FoodShare. Her life was not better. The state did not have fewer people on FoodShare. But the private contractors got paid. I began to wonder, who’s working here and at what cost to taxpayers? Do we know if this program works? Has it been evaluated? Why wouldn’t the state want to know if the program is working? When I finally obtained the fiscal estimates, I began to see a very different story of who works and who pays. Now, I see a new story. Private contractors stand to gain. 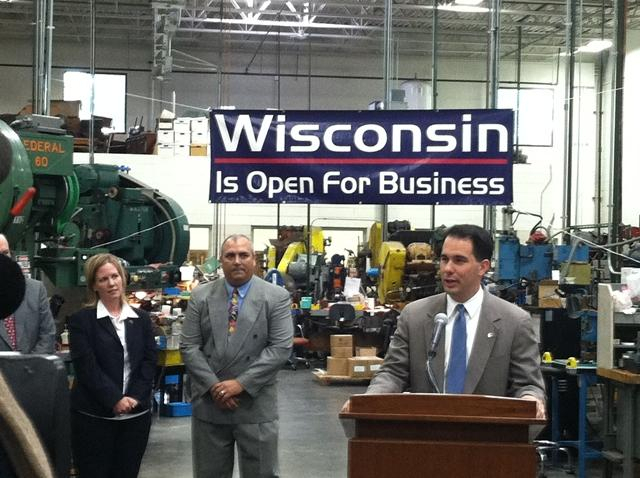 Governor Walker has new initiatives he can brag about across the state. New employees will work for the now wealthier contractors. But is Wisconsin Working for Everyone who is hungry, in need of health care, or child care – not so much. All of the organizations focused on helping the working poor testified against the bills. Terry Gow should certainly be taking regular drug tests. Every other month. Hair samples. All his executives. Cuz that is an extreme amount of welfare for a very risky proposition. Thanks to Kathleen Vinehout for once again, telling it like it is. Profits for political favors and splitting the people against each other. These are the two takeaways we see from the GOP in this state over and over and over…..